SERVPRO of East Bellevue is always hard at work! We use nothing but the best equipment in every job. 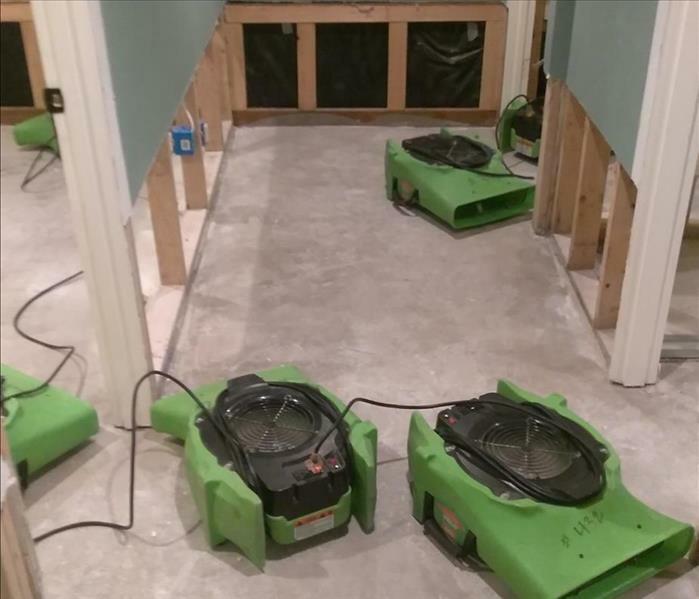 Here our top of the line fan is working hard to dry the flooring of this Bellevue home! SERVPRO of East Bellvue arrived to this water damaged property to find most of the moisture was trapped behind the walls. We set up this drying system to get the area behind the walls dry preventing mold growth. Do you have real wood flooring? SERVPRO of East Bellevue can dry your hard wood floors properly. 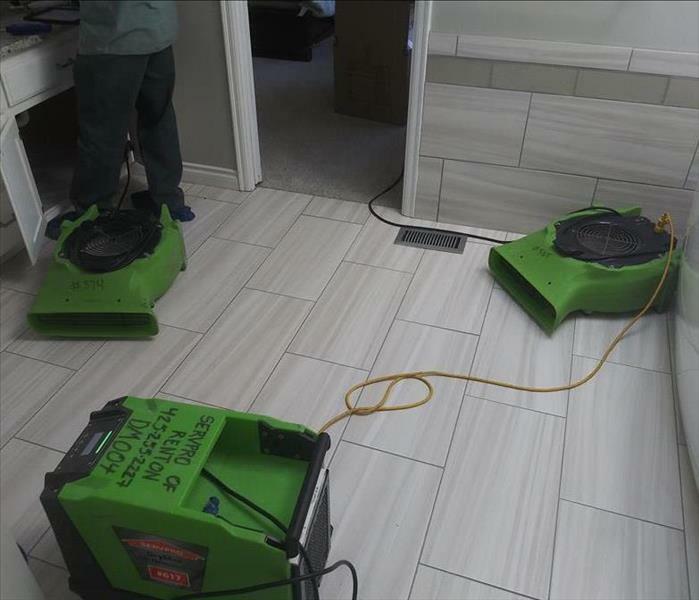 Setting up this specialized equipment to get the floors dry will prevent the need to remove and replace your real wood floors. When this East Bellevue homeowner called us for help we responded quickly. We arrived to standing water in the home and began extracting it immediately. We removed the damaged materials and set up the proper equipment to get the are dried properly. When this master bathroom had a pipe leak under the sink, the homeowner called us immediately. We arrived, assessed the damage and set up the appropriate drying equipment to get the area dried completely preventing future mold growth.